Our vinegars have a large presence on the West Coast, where chefs select from a range to impart just the right tanginess to their creations. 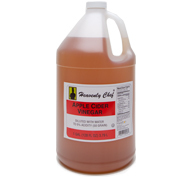 Apple Cider Vinegar has a subtle flavor making it great for dressing recipes, barbeque and a variety of sauces. 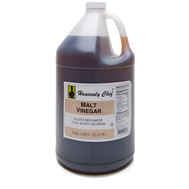 Malt Vinegar delivers a rich malt taste that is sure to please. It is the vinegar of choice to dress up fish & chips, potato salad or cole slaw. 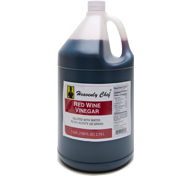 A derivative of premium California red wine, this vinegar delivers a full-bodied statement in sauces, marinades and dressings. 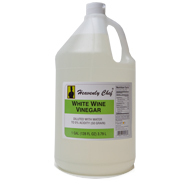 A derivative of premium California white wine, this vinegar is delicate and crisp, making it a great accompaniment to white sauces, dressings and any poultry or seafood dish. Available in both 50 grain and 100 grain strengths, it is an all purpose vinegar for the more economy minded.